As part of your template, you'll receive electrical-specific information and a set of inspection forms for MasterSpec Division 03. 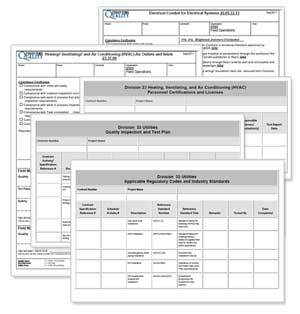 HVAC-specific information and inspection forms are included with your submittal-ready Quality Plan Templates at no additional charge. Fill out the form on the left, and Download a sample. Or Contact Us and we'll answer all of your questions.